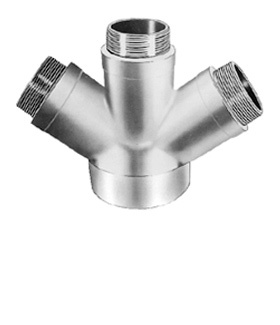 MOON 3 Way cast brass roof connection having tapered pipe female inlet and male outlets. Inlets 4" or 6", outlets 2 1/2". Finish: Rough brass.